There are life threatening diseases that can affect your health and financial status both as the medical care cost is very high and increasing every day. In such case, you need to be prepared for any unfortunate events that need a huge amount of money. For this, you need to be sure that you can arrange that huge amount to meet the best medical treatment. You can plan some amount for your health and buy a health insurance policy which bears the cost of best medical treatment and provides several other benefits under the policy. L&T Health Insurance and Bajaj Allianz insurance company provides bets insurance policy in India and let us see the benefits and coverage under its policy. There are individual and family floater health insurance plans offered by L&T Health Insurance and Bajaj Allianz insurance company. L&T general insurance provides family health insurance plan that covers maximum 4 family members with up to 2 adults and 2 children, whereas family floater health insurance plan offered by Bajaj Allianz insurance covers maximum 6 family member and with up to 2 adults and 4 children. There are many expenses that occur before and after the hospitalization, some of the pre-hospitalization expenses are cost of the medical test, doctor’s consultation charges, etc. Some post hospitalization expenses are the cost of medications, regular check-ups, day car charges and domiciliary treatment, etc. L&T general insurance covers medical expenses for 30 days before your hospitalization and 60 days for post hospitalization and Bajaj Allianz Insurance covers the medical expenses for 60 days before your hospitalization and 90 days for post hospitalization. 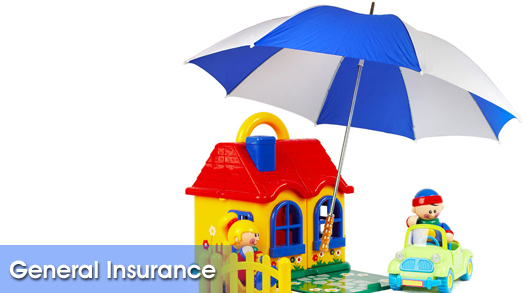 The insurance company does not cover the pre-existing diseases right at the time when you buy the policy. Every insurance company has certain time frame after which it provides coverage to its pre-existing customer against pre-existing disease. L&T general insurance provides coverage to pre-existing diseases after 3 consecutive claim-free years whereas Bajaj Allianz insurance provides coverage against pre-existing disease after 4 consecutive claim-free years. There are network hospitals which are registered with the insurance company which provides cashless hospitalization. It also provides reimbursement option in case the policyholder is treated in the hospital that is not registered with the insurance company. L&T general insurance provides cashless facility is at its network hospitals and Bajaj Allianz provides a cashless facility at more than 3700 registered hospitals across India. Both the insurance company provides lump sum similar benefits and coverage under health insurance policy and all the general insurance policy all you need to do is make sure you know your personal requirements and match it with the benefits and coverage offered by both the insurers and then buy the policy. Always read about the details of the policy before buying it. You can easily avail all the related information online within a matter of few minutes anywhere and anytime. L&T general insurance and Bajaj Allianz Insurance are the best players in the insurance market so make sure you read the policy terms and conditions carefully before buying the policy. I am sanjay working with insurance company as insurance adviser owing good knowledge of various policies such a Buy Bike Insurance in 4 easy steps. It provides online 2-wheeler insurance with hassle free 24/7 claim settlement support.